RUPERT – Mary Maurine Wells Pierce was born July 6, 1928, in Springfield, Idaho, to Beulah Gravatt Wells and Ray J. Wells. She passed away March 31, 2019, in Rupert, Idaho. Maurine was the first daughter with three older brothers, Leland, Vernon and Gerald. Later, her sister, Beverly, was born, along with Gary, who was the caboose of the family. Maurine spent her early years on the family ranch in the Grandview, Idaho area just a few miles from her grandparents’ home where she was born. There, she learned the value of hard work. Not only did she help with the animals but she labored in the fields, as well. This admirable work ethic was apparent throughout her life. She also enjoyed many adventures with her Gravatt cousins who lived just up the road, creating whatever fun they could drum up, from swimming in the canal to riding horses. She attended Aberdeen High School and was a star basketball player who dribbled with her left hand and shot with her right. During her sophomore year, she met a handsome “soldier boy” named Leo Angus Pierce at a high school hop who was on leave from the War. Leo never forgot the sweet beauty, Maurine, and looked her up when he returned home. She graduated from Aberdeen High School and, after a short courtship, Leo and Maurine were married October 31, 1946. Their marriage was later sealed in the Idaho Falls Idaho Temple, August 14, 1958. While living in American Falls, three of their five children, RaNelle, Wade, and Yvonne were born. They bought the Aberdeen family farm in November of 1955. There, they raised their family and shared their dreams. Two more children, Melanie and Lee blessed their home. Maurine and Leo worked hard to provide a secure home for their family. Music was a huge part of their lives which Maurine just loved. The children sang with their father at many civic and church functions around the area. Maurine was the chief organizer and cheerleader for the family. October 15, 1968, Leo was killed in a tragic car accident and left Maurine a young widow at the age of 40. Her shoulders bore the heavy weight of raising her young family, doing so without the aid of welfare or others’ support. Being a proud person, she often worked two jobs until all her children were raised and had completed their college educations. 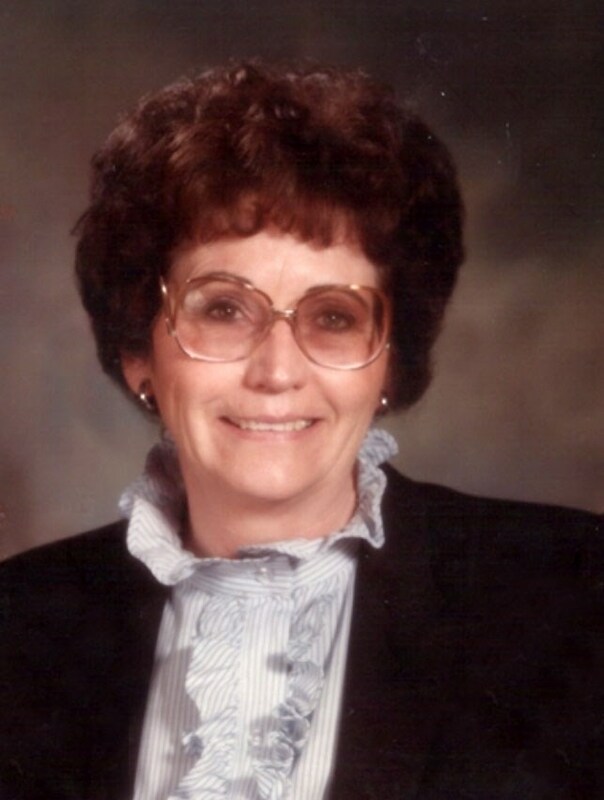 In the fall of 1983, Maurine received a special recognition as “Single Parent of the Year” for the southeastern Idaho area. This honor was a sweet validation that she had been a good mom and had raised her children well. In the spring of 1987 she had an opportunity to move to Rupert for employment. This also allowed her to live closer to her daughter, RaNelle, in nearby Declo. She was able to enjoy her grandchildren’s sports, activities and holidays. Six months after the move to Rupert, she retired from her banking career with Wells Fargo Bank to become the full-time property manager for Sunset Manor Apartments. She didn’t just manage the apartments, but created a community for the residents there. Birthdays, holiday dinners and many personal services were provided to the residents under her direction. Maurine was a wonderful manager and took great pride in the business, landscaping and apartment maintenance of her beloved Sunset Manor. She received many awards and accolades for the beautiful grounds and the immaculate care of the property. Maurine was baptized a member of The Church of Jesus Christ of Latter-day Saints in 1953, and, in speaking of her conversion, she commented that the Gospel was “delicious” to her. She had an unwavering testimony that carried her through many difficult times and her commitment and example have and will continue to influence her large posterity. As a longtime member of the Rupert 7th Ward, she made many wonderful friends, and was admired for her abilities as a teacher as well as an orator. She especially loved serving as the Relief Society president and compassionate service coordinator. She moved to Autumn Haven in Rupert in 2015 where she enjoyed the assistance of wonderful staff members, and made many dear friends who enriched her life. In July of 2018, friends and family gathered together to honor her with a 90th birthday celebration and Maurine often joked that it was her “going away party.” She was always fun-loving, quick- witted and made others feel important and valued. Her example of love and service will be felt for generations to come. She is survived by her five children, RaNelle Knowles (Ron) of Declo, Wade Pierce (Brenda) of Murray, Utah, Yvonne Palmer (Martin) of Magna, Utah, Melanie Goff (Steve) of Federal Way, Washington, and Lee Pierce (Kay) of Orem, Utah; brother, Gary Wells (Lola) of Pocatello; and sister-in-law, Ramona Anderson of Idaho Falls. Also surviving her are 19 grandchildren; and 37 great-grandchildren, and counting. There will be a viewing held from 5 until 7 p.m. Sunday, April 7, at Rasmussen-Wilson Funeral Home, 1350 E. 16th St., in Burley. A viewing will also take place Monday, April 8, from 10 until 10:45 a.m. prior to the funeral at 11 a.m. at the Rupert Stake Center, 7th Ward, 324 E. 18th St., in Rupert. A graveside service will follow at 3 p.m. at Aberdeen Cemetery. In lieu of flowers, donations may be made to Rupert Senior Center Meals on Wheels. Many thanks to Rasmussen-Wilson Funeral Home for their assistance and care.